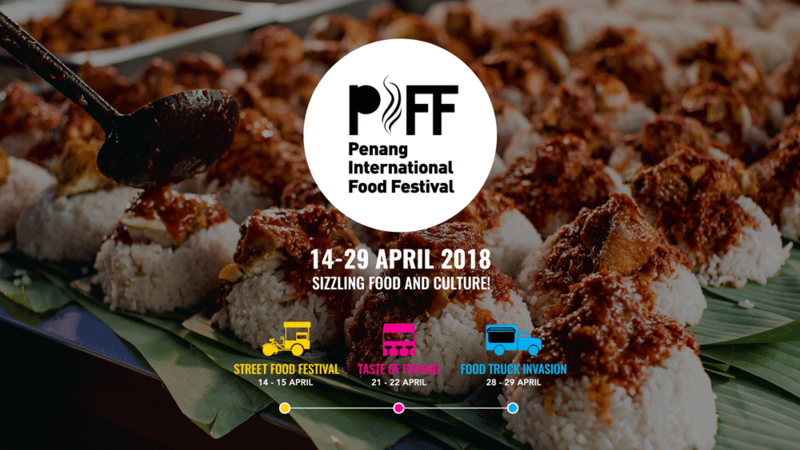 The Penang International Food Festival (PIFF) returns for its second year as it presents the best of Penang’s delicacies throughout the weekends from 14 to 29 April 2018 in three major events. The three events feature different themes ranging from traditional Penang dishes to modern café and restaurant delicacies. 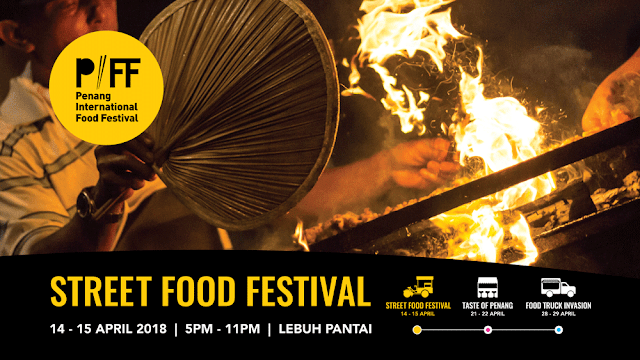 First up is the Street Food Festival, taking place on 14 and 15 April at Lebuh Pantai from 5pm to 11pm. 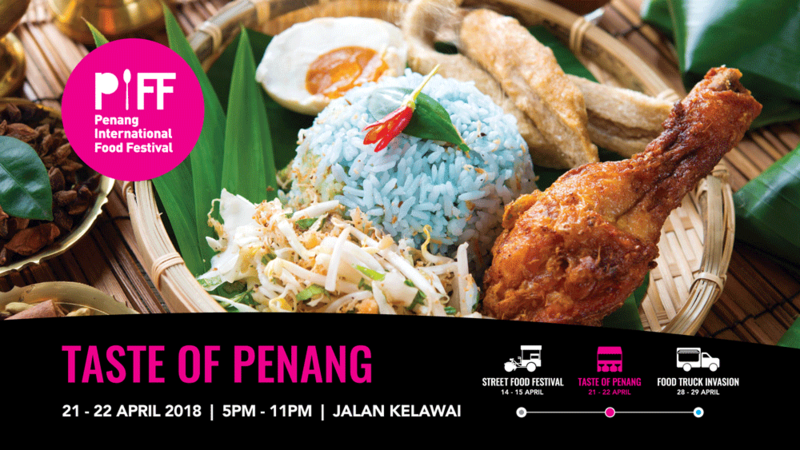 Be awed as the hawker heroes of Penang gather to present their finest dishes of recipes that have been passed down for generations, such as Char Kuey Teow, Rojak and Cendol. The Taste Of Penang (TOP) event will be held from 21 to 22 April from 5pm to 11pm at Jalan Kelawai. TOP features the modern food scene of Penang ranging from dishes from the finest cafes and restaurants of Penang to the many different eateries from hotels; it’s where all the “must-eats” of Penang will be at. Finally, closing the curtains of PIFF 2018 will be the Food Truck Invasion (FTI) during 28 and 29 April at the Design Village Outlet Mall, Batu Kawan, from 5pm to 11pm. 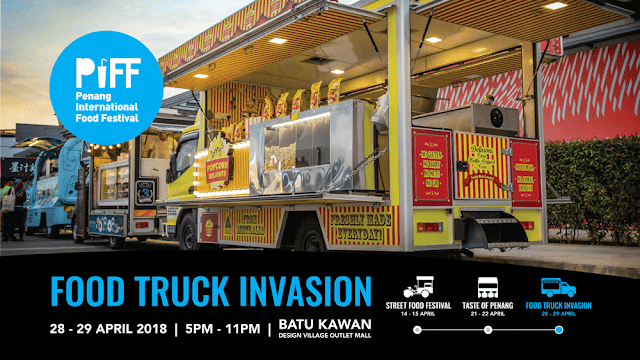 The entire outlet will be filled with a total of 150 food trucks from all over Malaysia as well as neighbouring countries, aiming to set a Guinness World Record for most food trucks in a single event with the current helmer being 123 vehicles in Saitama. The food trucks will be presenting dishes ranging from modern to traditional food with all sorts of taste, smell and colour. Adding on to the already delicious food are festive live performances by both local and international buskers to get the good vibes going all around the festival.